There are a lot of opportunities for women in the construction industry. 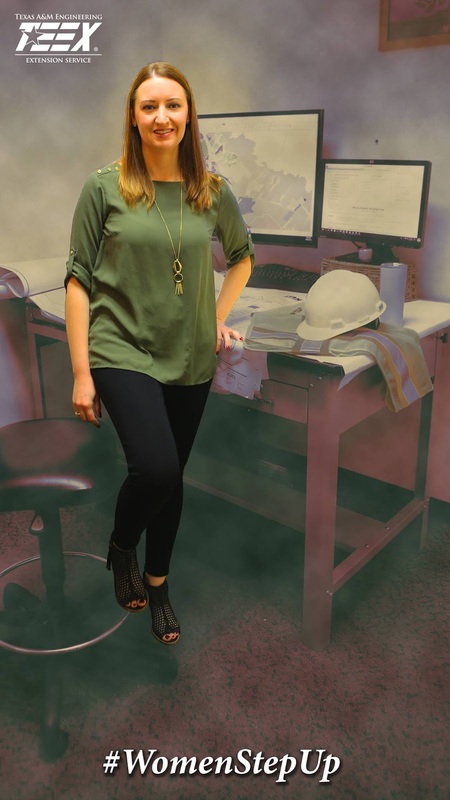 A construction project has many aspects and offers a number of roles for women to fill, including engineering, estimating, project management and project inspection just to name a few. The stereotype that construction is for men only has changed and if you ask many men, who have a great deal of experience in this industry, they will tell you that women are needed in this field. Women often have a great attention to detail and that keen eye for picking up deficiencies in the field and doing punch lists or inspections is a desired skill set. One of the greatest challenges as a women, in learning to navigate a male-dominated industry, is that often men will assume you function and work just like them. I had to learn how to gain the same respect and accomplish the same tasks, but in my own way. When I tried to be like “the guys” it didn’t work. I had to find my own way. Everyone on a construction project has to come to the realization that it’s not women vs men or the field vs the office. It’s about forming a project team. A team that pulls everything together by supporting one another and using each person’s talents and strengths to accomplish a common goal. My advice for women in the construction industry is to remember that you are an individual with great abilities, but you have to combine your talents, points of view and strengths with those around you to become a successful project team. I love helping and serving people and even though construction is not a direct service industry, I get great satisfaction from helping to provide someone a safe, well-built place to live, work, learn, play or receive healthcare. When you have these facilities and they are functioning well and creating a quality environment, everyone’s life is just that much better. I have the opportunity to manage the design and construction of the new College Station Police Department Headquarters. All of the police officers are protecting and serving our community and by helping to provide them with the space they need to work and train, I feel like in some small way, I have contributed to making our town safer and a better place to live. I highly recommend a career in the construction industry. You will never have the same day twice. It’s never boring. You will spend your time solving problems, coming up with creative solutions, meeting new people, finding more efficient ways to do things, and learning about other industries and other professions. When you help to build or design a facility, you have the opportunity to learn about careers and professions you would otherwise likely never encounter. Construction is a very interesting career and I’m thankful to be a part of a wonderful, challenging and rewarding industry.